Item # 300735 Stash Points: 1,999 (?) This is the number of points you get in The Zumiez Stash for purchasing this item. Stash points are redeemable for exclusive rewards only available to Zumiez Stash members. To redeem your points check out the rewards catalog on thestash.zumiez.com. 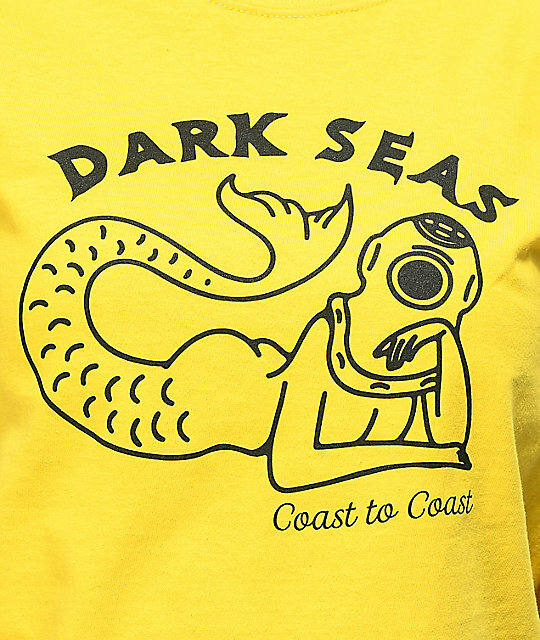 Take to the deep in bright style in the Divers Club short sleeve tee shirt from Dark Seas. Designed with a shortened hem and boxy fit for a perfect casual style, this shirt is finished with a black outlined graphic of a mermaid wearing a deep sea diving helmet, Ariel has found her most prized 'whatzit'. 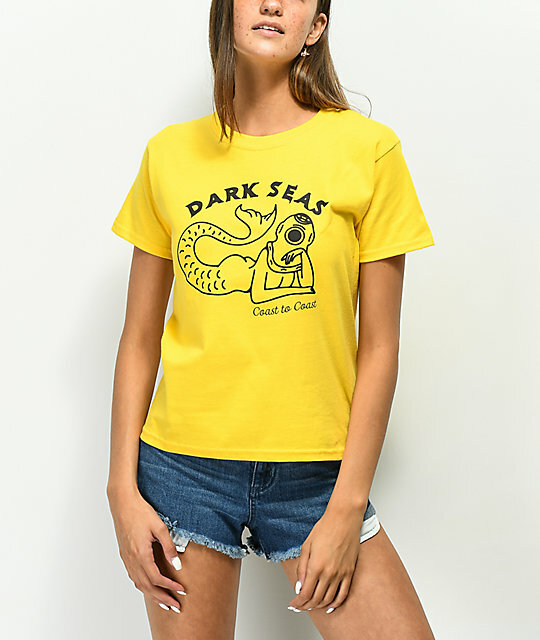 Divers Club Yellow T-Shirt from Dark Seas.